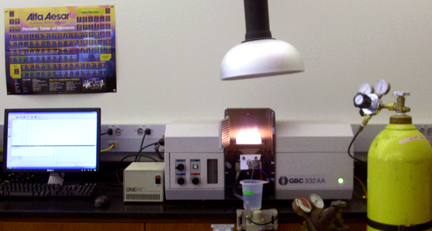 Flame Atomic Absorption - Spectrometer. GBC 932 AA. NMR Spectrometer - Anasazi Eft-90 with multinuclear probe. 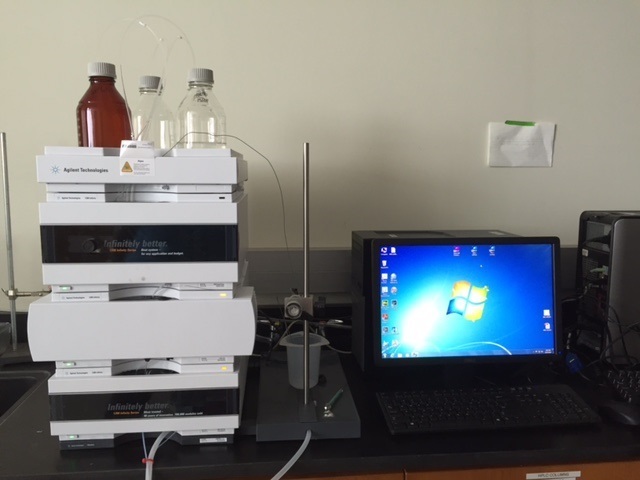 Spectrofluorometer - PTI Quantamaster 4 with lifetime capability. 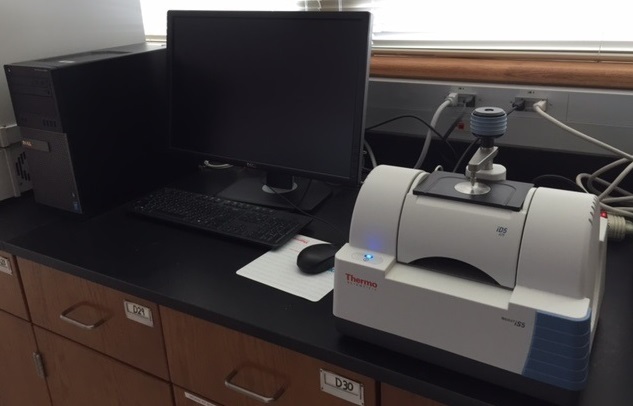 UV-Vis Spectrophotometer - Beckman Coulter DU 800 with temperature control. 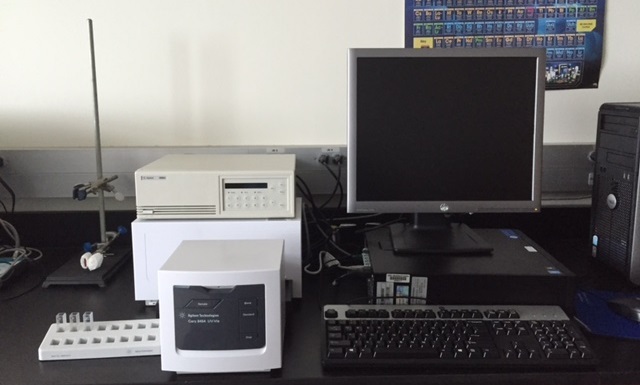 UV-Vis Spectrophotometer - Agilent Cary 8454. 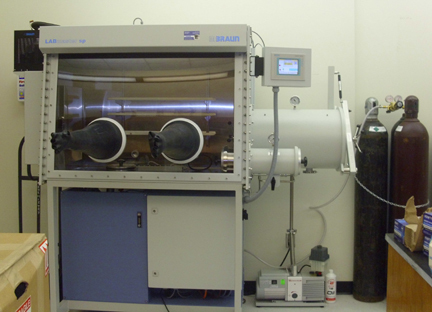 Infrared Spectrometer - Varian 660 FT-IR with Pike ATR Accessory. 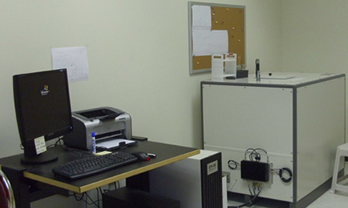 Infrared Spectrometer - Thermo Scientific Nicolet iS5 FT-IR Spectrometer. 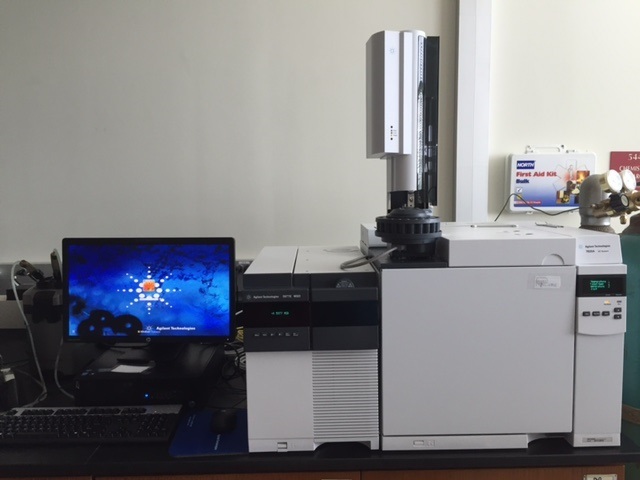 Gas Chromatograph/Mass Spectrometer - Agilent GC System 7820A with Agilent 5977E MSD. Glove Box - MBraun Lab Master SP. 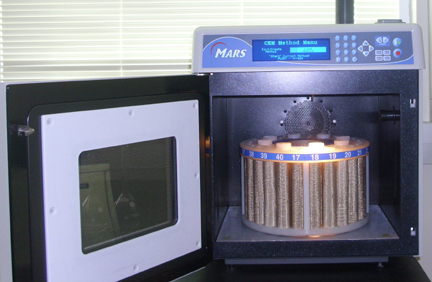 Microwave Acid Digestion - CEM MarsXpress 230/60.